I have completed the first of two projects for the month of May. 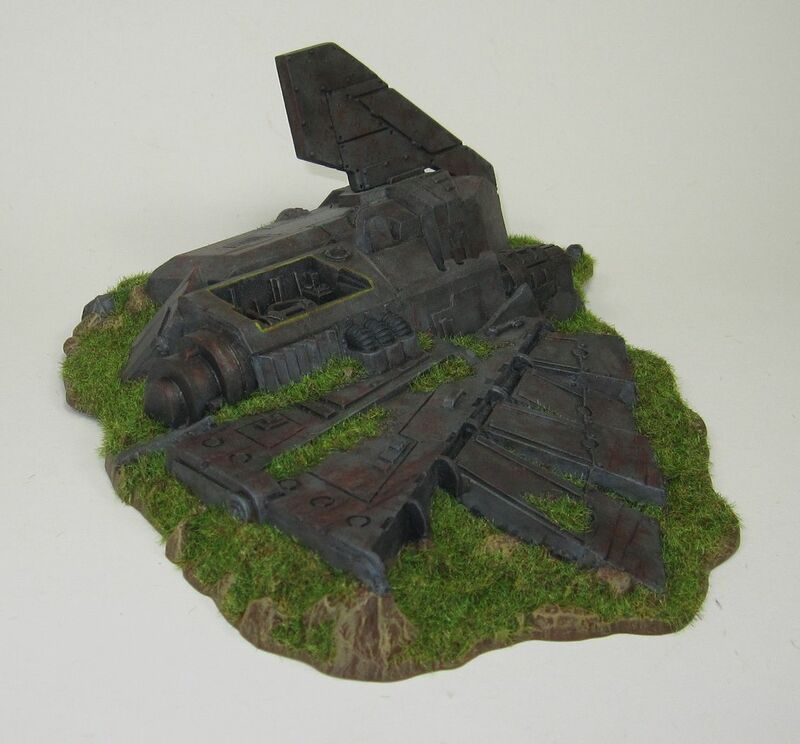 When painting this terrain piece, I wanted to make it look like the Lander had crashed a while ago. 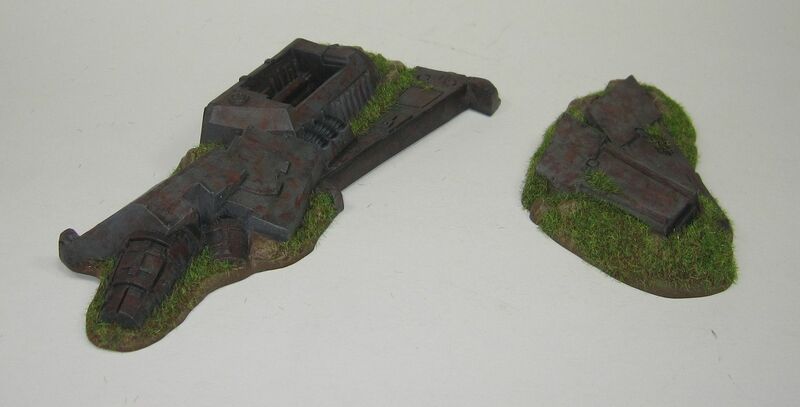 So I painted it with a lot of rust and then I used static grass to make it look overgrown. Also, if you notice, I intentionally left it devoid of any Imperial markings to add some mystery to the piece. I like how it turned out. I decided to try something different for painting my Shrine of the Aquila. Since this project is so big, I decided to use a cheaper paint. 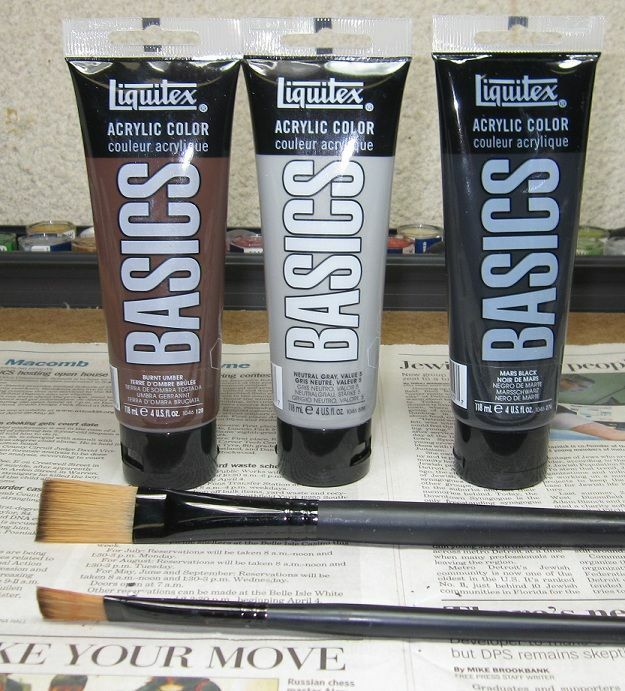 So I went to a local Micheal's Craft store and picked up some Liquitex paint and some big paint brushes. 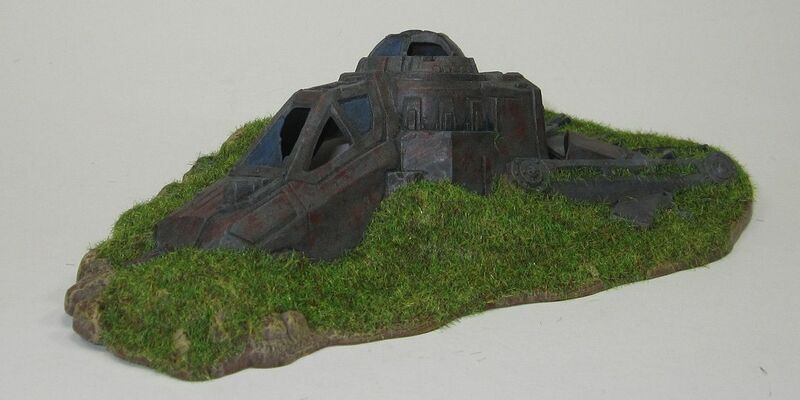 I have had some experience with this paint before, it is what the local game club uses to paint their terrain. At around $5.00 for a 4 oz. tube, it is a better value than GW paint ($3.70 for .4 oz.). 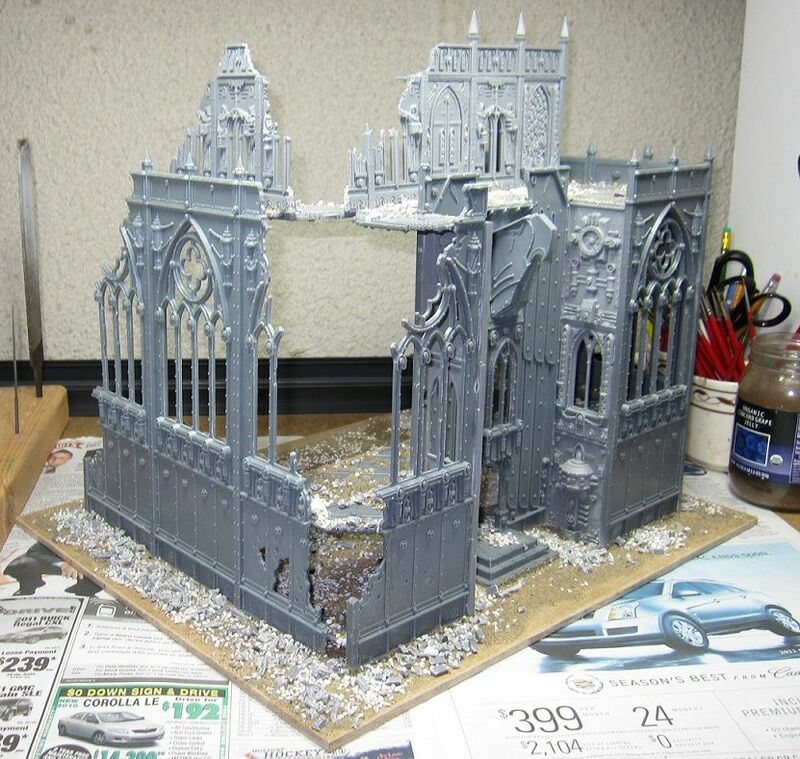 However, I would only ever use this paint on terrain projects because it is very thick. Here is the progress I have made on my Shire so far. I started by painting the building with a very dark mixture of the Black & Grey paint, then I began dry brushing several layers onto it, gradually lightening the paint mixture with each layer until I got it to the color I wanted. I am pleased with how this turned out. Now I just need to paint all the details, then weather it some. For the Imperial Eagle, I painted it with GW Dwarf Bronze. My goal it to make it look like weathered copper and I want to add some verdigris. I am not entirely sure how I will do this at this yet. 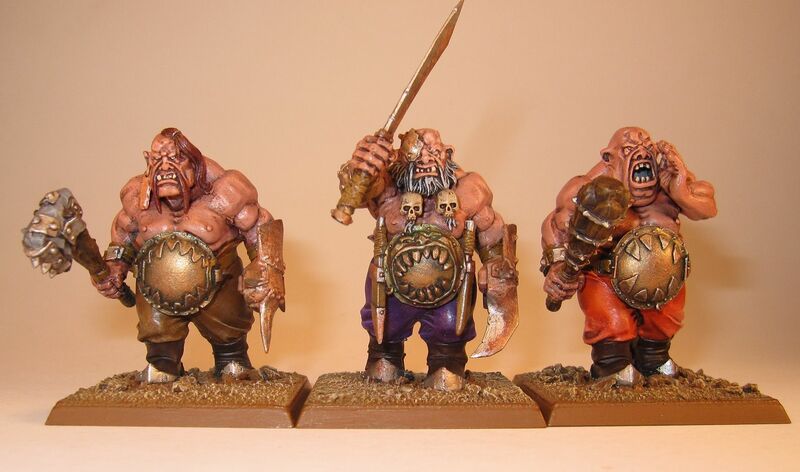 I have a little experience with this from when I was painting my Ogre Bulls' gut plates, but all I did there was wash them with green wash. With such a big area here, I think I will need something more. The web has several ways to do this, I am just not sure which method to use. 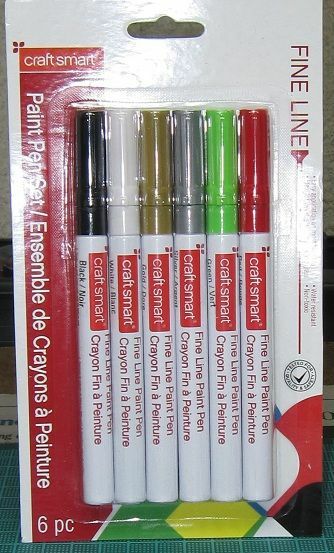 Also while I was at the craft store, I picked up some paint pens that were on sale for $5.00. At that price, I figured I would give them try. I plan to use them to add unit numbers to my Cadian Infantry units. If that works out, I have more plans for them. Here it is halfway through the month of May and I had forgotten all about my 40kFightClub Painting Challenge project for this month. 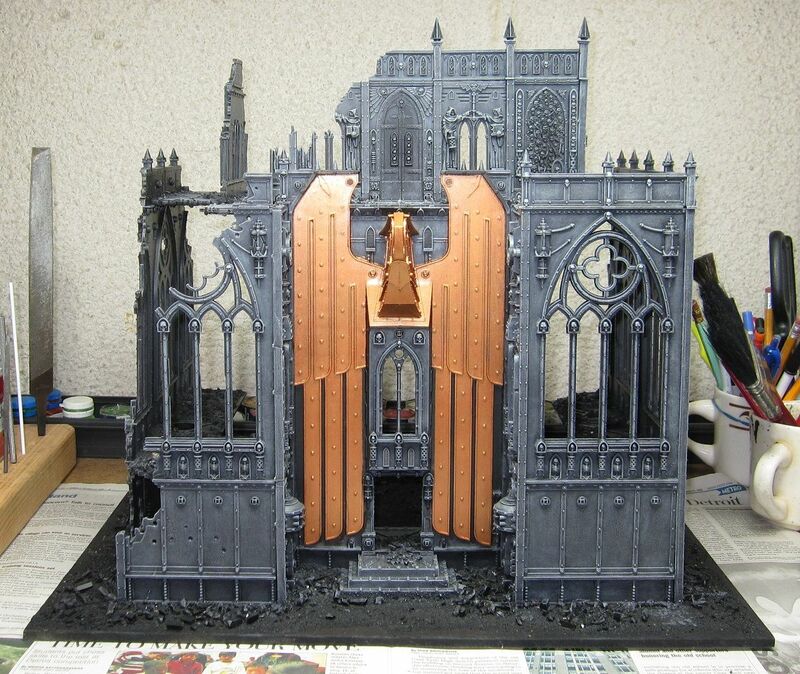 I still got time to get it done, so my project for this month will be a terrain piece that I have worked on over the past couple of months, my Shrine of the Aquila. My personal 'Finish a Project' Challenge for this month is my Crashed Aquila Lander that came with the Battle for Macragge boxed set. I started painting it years ago but it is time to finish it. Sorry got the lack of posts lately, it has been a busy month of May for me. With spring arriving, I have been working on various home projects. In addition to the annual spring maintainence projects like yard work and spring cleaning, we have redecorated my daughter's bedroom and bought/assembled a new set of outdoor patio furniture. I had plans to build my wife's new garden box this weekend, but the weather did not cooperate for that. 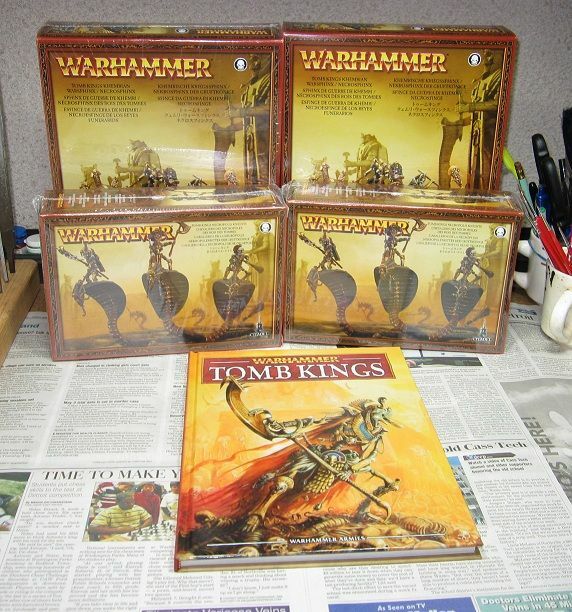 However, I am still finding time to work on my Tomb Kings army and I am making some progress. Here is my Necrosphinx and Sepuchral Stalkers that are ready for painting. 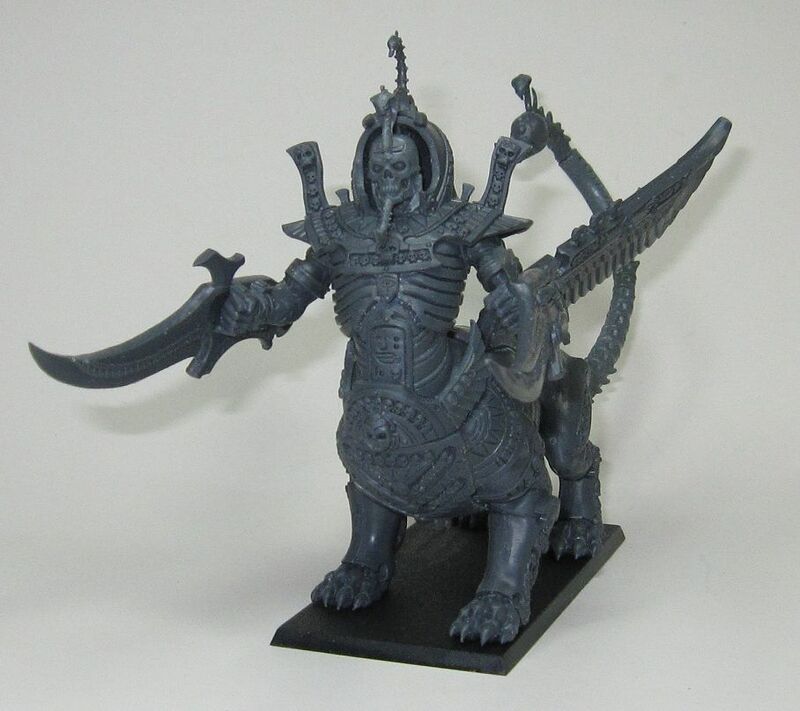 I am currently working on my Warsphinx and should have that ready for painting soon. 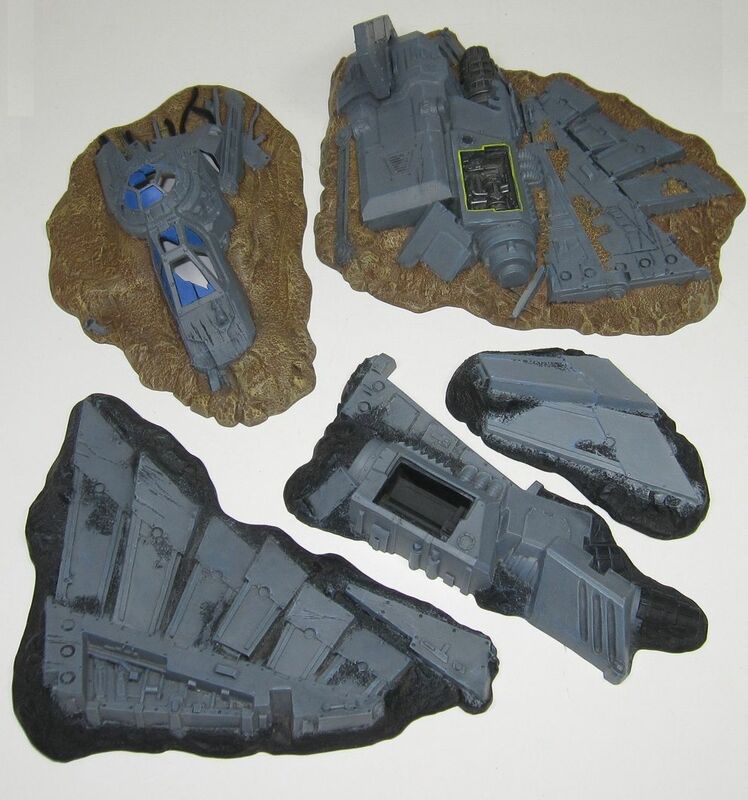 I do not plan to do the final assembly of the Warsphinx until after I paint it. After the Warsphinx is ready for painting, I plan to start assembling some Skeleton Archers and Skeleton Warriors. 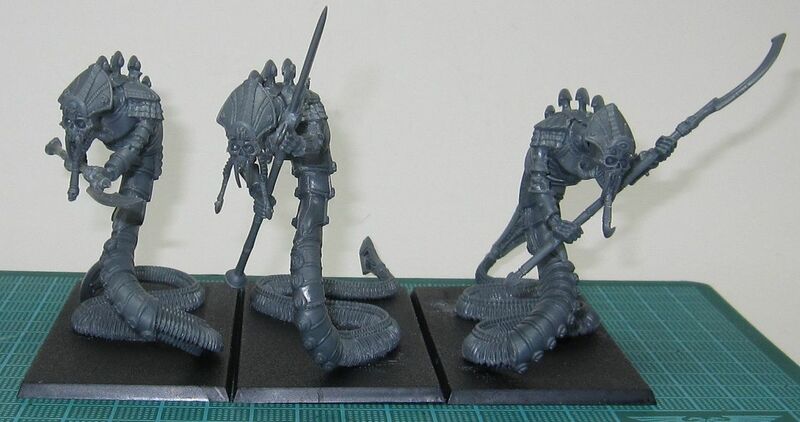 Once I get them assembled, my army should be playable.